The inclusion of Halo 3 specifically is a very strange one. While it’s true that the Xbox 360, like pretty much every other major home console sans Nintendo Switch, runs on AMD hardware, and the remastered Halo 3 that is included in the Master Chief Collection runs on the Xbox One, another AMD machine. But we’re talking about a presentation about PC GPU’s, not console GPU’s and not the Polaris architecture that the Xbox One and Project Scorpio run on. We’re talking AMD’s new GPU’s, the Vega series. It may be Halo 3's 10th anniversary this year, but if you were going to show a Halo game, it would be better to pick one that is actually on PC. The pickings are slim of course, but Halo 5: Guardians is on PC in some capacity, as is Halo: Combat Evolved, Halo 2, Halo Wars Definitive Edition, and Halo Wars 2. Halo 3 never received a PC release. The closest it came was a game called Halo Online which was only available in Russia back in I believe 2014. 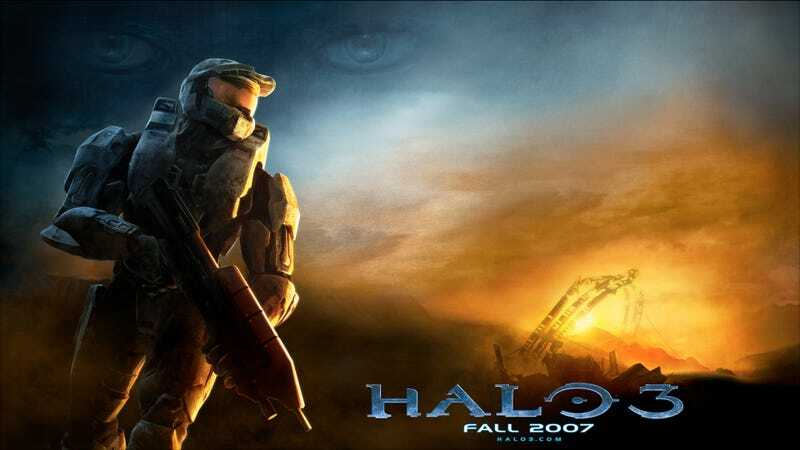 It was a hybrid of Halo 3 and Halo: Reach/Halo 4 from what I recall, but Halo 3 proper never saw the light of day on PC. So what could this all mean? My bet is on this being further evidence of Halo 3 Anniversary. With Microsofts renewed interest in bringing games to PC using its Xbox Play Anywhere initiative, most if not all future Xbox exclusives will also come to PC, which is why the image featured in the presentation is likely a tease of an upcoming PC version of Halo 3, and with it being the games 10th anniversary and the launch of the Scorpio, an anniversary remake doesn’t sound too far-fetched anymore. We’ll likely have our answer come Microsofts presentation at E3 2017 in June.